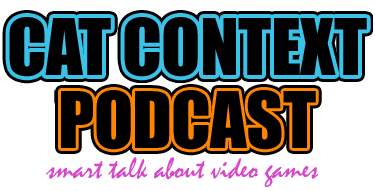 Cat Context Episode 37: Beyond: Two Souls, The Wolf Among Us, Are guilds still useful? Episode 37 of the Cat Context Podcast is now available! This week, Liore and Ellyndrial are joined by Vajra and talk about Beyond: Two Souls and The Wolf Among Us. Both games get healthy reviews from the crew, but Vajra is a grump and dislikes quick time events. Elly tells him that he is wrong, and the ensuing discussion hits on the underlying question: What really makes something a game? Turns out, that is a hard topic! This is followed up with some discussion of the Newbie Blogger Initiative‘s recent question “Are guilds essential to MMOs?” We discuss what, exactly, constitutes a guild, and whether we need them now that Twitter and external forum communities are as popular as they have become. Liore finally gets a word in! As usual, we also banter about random things, like Pumpkin Spiced Lattes. To listen, head on over to the official episode page, hit us up on iTunes, or just watch the video below. We are also now set up with at our YouTube channel! Please continue to send in ratings, comments, and questions. We really appreciate them! Episode 35 of the Cat Context Podcast is now available! In this episode, Liore and I were joined by Ryven, and we talked about the Steam announcements and Final Fantasy XIV. In addition to trying to figure out what void the SteamOS ecosystem is supposed to fill in, it becomes painfully obvious that we don’t really know what we’re talking about. We also talked about Brothers: A Tale of Two Sons, The Lost Vikings, the new Magic set, and of course old-timey WoW raiding when everyone was terrible and couldn’t get out of the OBVIOUS BRIGHT BLUE CIRCLE. Head on over to the episode page to listen, or watch the video if you prefer that. We are also on iTunes and Stitcher radio.